Q. Is Kanopy good for children? Kanopy has a lot of content that is suitable for children. For example, there is a K-12 Lessons subject area with over 1400 videos in it. Kanopy also tells us that a children's portal is in development. However, parents or legal guardians are responsible for their children's access to the Internet and may decide which online resources are appropriate for their children to use. Appropriate supervision will be required when children are using Kanopy, much like with other online content sources. Kanopy was founded in Australia and uses the Australian content classification system to categorize rated content. 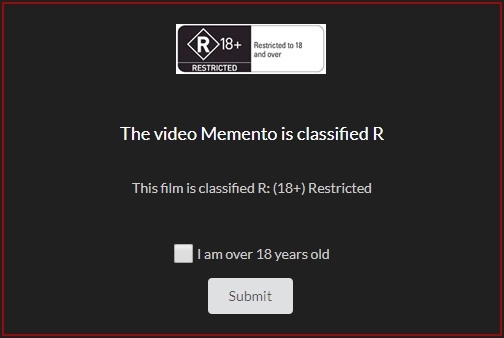 Any time an R-rated video is started, all Kanopy users will be presented with a simple form to confirm that they are over 18 years of age.